Red, yellow, green, purple, white and black···. These colors from fruits and vegetables can make you healthier. The relationship between color and health comes from phytochemicals. Phytochemicals mean chemical compounds produced by the roots and leaves of plants. They help plants protect themselves from harmful insects or disturbing competitors. Phytochemicals are full of antioxidants that suppress cell damage and prevent aging. Phytochemicals are especially rich in colorful pigment of plants. Thus, The UOS Times would like to introduce some colorful foods and their phytochemicals that are helpful to your health reinforcement with some tips to enjoy them in healthy ways. Red foods contain phytochemicals like lycopene and capsanthin. Lycopene and capsanthin are antioxidant and effective at improving immunity and, preventing aging, cancer and cardiovascular disorders. This is because they remove harmful active oxygen and toxins from our body. 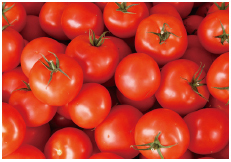 High levels of lycopene can be found in tomatoes, watermelons, apples and persimmons. In addition, high levels of capsanthin can be found in paprika, red bell peppers and red peppers. Red foods are recommended in the morning since they take about four to five hours to be absorbed in the body. Yellow foods include phytochemicals like carotenoid, beta-carotene, flavonoid and lutein. Carotenoid and beta-carotene are effective at reinforcing immunity and anti-aging and are found in carrots and corn. Flavonoid is good for blood circulation since it strengthens the blood vessel wall of capillaries and it is abundant in lemons and mandarins. Finally, lutein prevents ultraviolet rays from entering the eye and damaging the retina and it is found in golden kiwis and sweet pumpkins. To eat carrots in a healthy way, cook them in oil without peeling off the skin. Because beta-carotene is a fat-soluble vitamin and is abundant in the skin. You should also remember to add the carrots at the end of the cooking process because the carotene is oxidized when it is cut or mashed. It is important that you should avoid using vinegar when cooking yellow food to prevent the beta-carotene from being destroyed. Green foods are rich in folic acid, which is helpful to strengthen brain cells and chlorophyll. Folic acid is especially an essential nutrient for pregnant women because it plays an important role in the synthesis of the Deoxyribonucleic Acid (DNA) of the fetus and the formation of a neural tube connecting the brain and spinal cord. Furthermore, folic acid acts on the sympathetic nervous system to help functions of the kidney and the liver. The chlorophyll found in green foods can also absorb harmful substances and release them from the body. 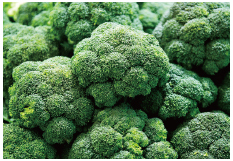 It is recommended to eat green foods raw since 50 to 90 percent of folic acid is lost when cooked. Broccoli, spinach, and cabbage are typical green foods and it is good to eat a green vegetable salad at least once a day. In purple foods, anthocyanin is abundant, which prevents aging and cancer and is good for blood circulation. Polyphenol is also effective in curbing the proliferation of cancer cells. Furthermore, purple foods are good for weight loss because they reduce the appetite and the ingredients are helpful in burning off fat and reducing cholesterol. Blueberries, eggplants, prunes, red onions and red cabbages are all example of purple foods. In particular, the eggplant composes of 84 percent water and is therefore low in calories. Furthermore, the eggplant contains linoleic acid, an essential fatty acid, and vitamin E, so it is effective to eat it fried or stir-fried in oil. White foods, rich in anthoxanthin, are good for the lungs and bronchial tubes and also inhibit oxidation in the body. They are known for increasing resistance to germs and viruses and lowering blood cholesterol levels. Some typical white foods are oysters, balloon flower roots, garlics, and onions. Black foods have the pigment anthocyanin, which is good for improving immunity and has antioxidant capabilities. As a result, black foods are effective at antiaging and energy buildup. The main effects of eating black foods are delaying aging, preventing adult diseases, and strengthening kidney functions. Black sesame, black beans, kelp, mushrooms, and eel are the most popular black foods. In fact, black beans are known to have four times as many antioxidants as regular beans. One of the best ways to consume a broad variety of phytochemicals is to make cold-pressed juice, also known as a juice cleanse. 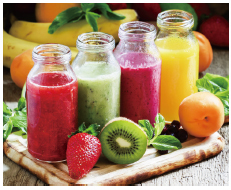 Cold-pressed juice is the juice made from only fruits and vegetables without water or other additives. Dr. Kim Hyun-jin of the Korea Food Research Institute recommends using more than ten kinds of vegetables and three kinds of fruits. If you want freshness, you can add oranges, lemons, and tangerines. For sweetness, apples, pears, and grapes are recommended. When you start with high proportion of vegetables like kale and angelica keiskei, it is difficult to get used to the taste. Therefore, it is better to start with light and fresh vegetables and then gradually increase the number of bitter but healthy ones. The important thing is to press and squeeze the ingredients when making the juice, not grind them. This is because general blenders produce heat when they rotate, which sometimes destroys nutrients and vitamins. You can facilitate digestion if you drink the juice one hour before or 30 minutes after meals. People are sometimes obsessed with making the juice out of certain ingredients. However, you should remember that the purpose of making and drinking the juice is to eat lots of fresh fruits and vegetables often, so you do not have to be obsessed with what you put in the juice. Now, we know about phytochemicals and color foods related to improving our health. Remembering these chemicals and the effects is helpful for anyone who cooks with fruits or vegetables. 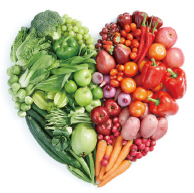 Organic foods and vegetables enhance health in many ways by using the powerful benefits of phytochemicals.